Solution » NO SERVICE TONIGHT!!!! 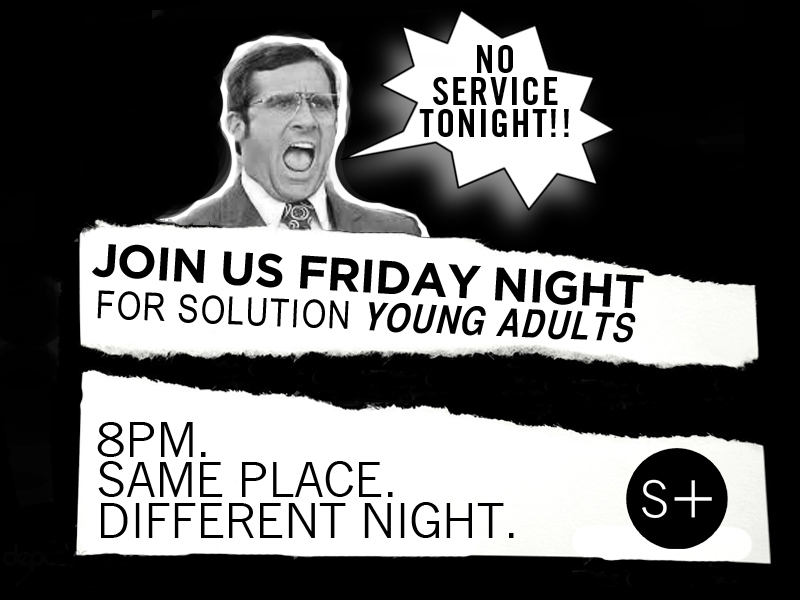 Solution Young Adult service has been moved from Thursday night, to Friday night at 8PM. Same place, just different night! Come expecting God to speak to you, and invite someone you think needs to hear an encouraging word! We’re encouraged for what’s ahead, and we know you will be too! See you tomorrow!